Kate from Starky Sew is the first place winner. 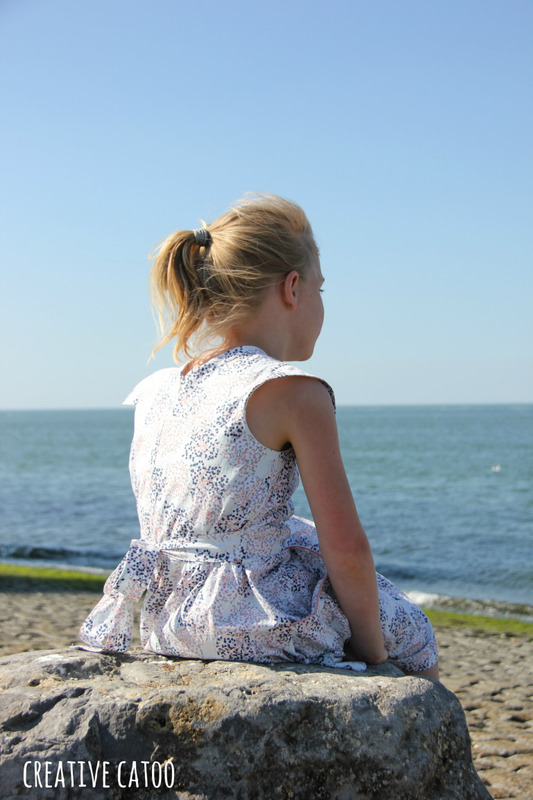 She made a gorgeous tic tac toe dress from Japanese fabric paired with black piping. The dress and photos are beautiful and I am excited to see more of what Kate makes!! Kate will receive this lovely prize! Well done Kate and thank you for entering! $100 AUD gift card to use in any Spotlight store around Australia. Spotlight stores know me by name...I live only three minutes from my local store and am there at least fortnightly! You know, saving money by sewing my kids clothes!! Spotlight stock some amazing fabrics. They stock Japanese lawns, Cloud9, Japanese cotton canvas and duck, gorgeous stretch fabrics, beautiful denims, linens and so many more. Zips, buttons, elastic, piping, wadding, ribbons, wool and everything in between! Spotlight have very generously sent me a $100 gift card for one lucky sewer! You can shop online at Spotlight (see link below). Thank you very much Maureen and Spotlight for your generous voucher! The Drapery is an online and bricks and mortar fabric store in Adelaide. It is part - owned by Fiona and Jane. 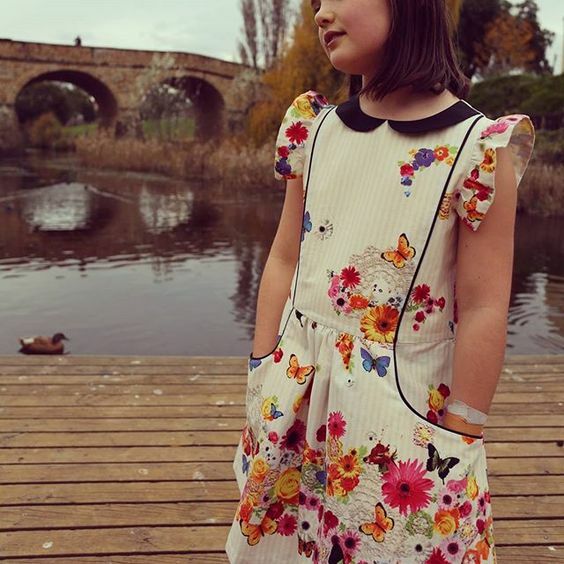 You may know Fiona already...she is the author and amazing pattern maker behind the label, Hop Skip Jump. If you have followed my blog over the years, you will know that I have sewn up many of Fiona's beautiful soft toy patterns (you can see some of my old hop skip jump posts here). I own her book (Hop Skip Jump) which I treasure and which is unfortunately no longer in print. Sad face. 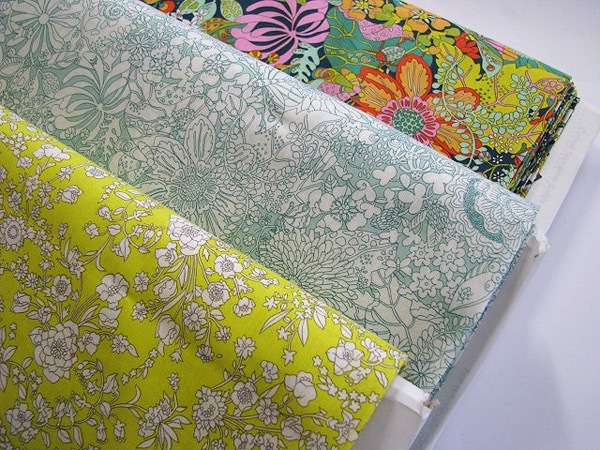 However, Fiona now runs The Drapery in South Australia which stocks a beautiful range of fabrics. Organic cotton, Liberty, Wool, Cotton and Steel. Fiona and Jane are contributing a $60 voucher tot their online shop! Thank you so much Fiona and Jane!! 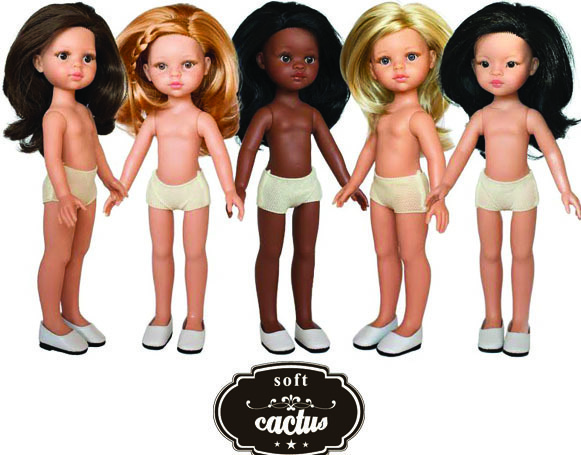 The second place winner of the Australian entries is Zoe from Soulfed on thread. 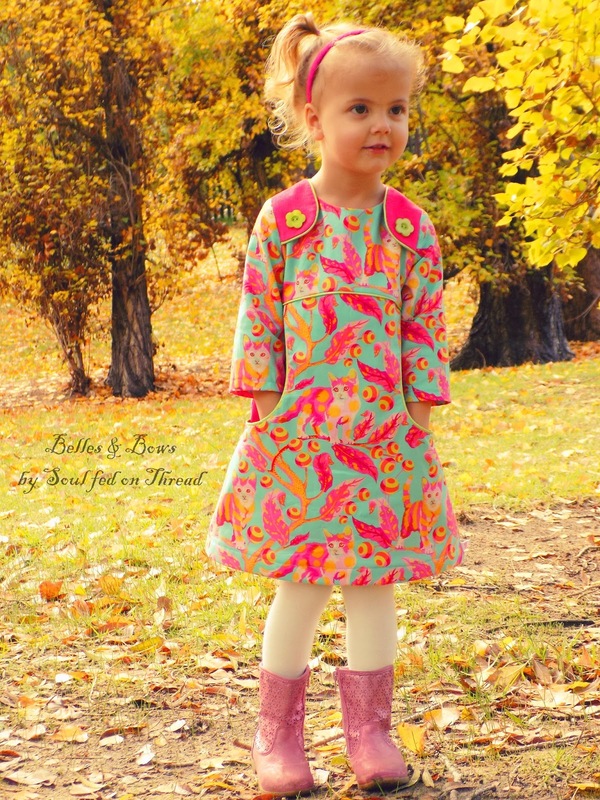 Zoe made a fantastic Miss Polly dress in bright fabric for her sweet daughter. Zoe's piping and fabric pairing was spot on and she was also the clear second place winner. Zoe will receive the prize below! Tuttle are the great publishing house that has brought us so many amazing Japanese Sewing books. 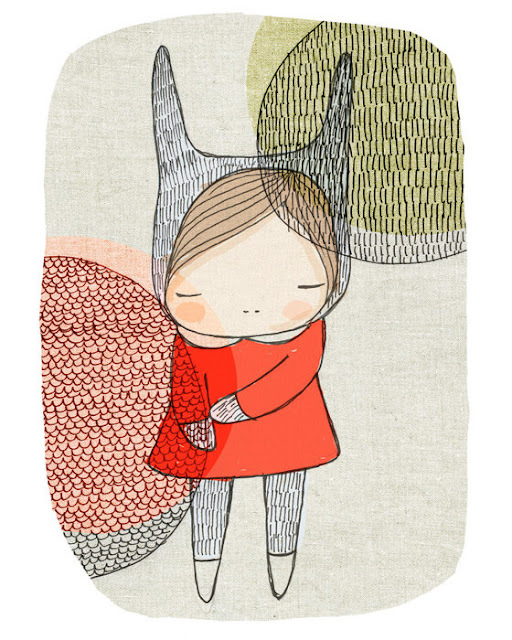 Happy Handmade, Little Girls Style and She wears the pants are a few of their titles. 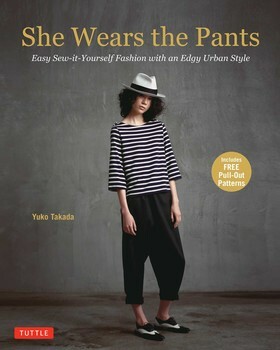 She wears the pants is a book for the Mums! And as the name suggests, the designs have a slightly masculine edge to them. Cool tailored pants and jackets, easy fitting tops, lapels and cool shorts. Tuttle generously gifted me two copies of She Wears the pants to give away (one for Aussies and one for International contestants). Thank you Tuttle...I love your books! Gabriel from Stitch Hour Studio is the third prize winner. She made a Juliette dress with embroidered peter pan collar. This collar was a labour of love and we were extra impressed that Gabriel managed this with newborn baby in tow! Gabriel will receive a pack from me and one digital sewpony pattern. 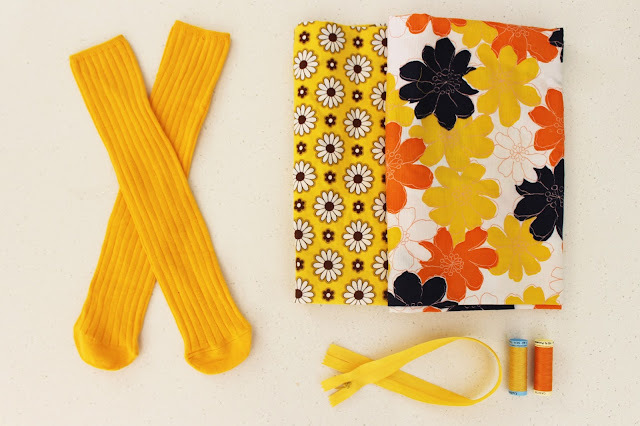 The pack includes 2.5 metres of vintage fabric, sweet knee high socks, invisible zip and two reels of quality gutterman thread. Me and My Feet are an online shoe store based in the US. They stock a huge array of shoes for people of all ages. They are generously giving away a pair of Jerusalem sandals - beautiful leather sandals for you! They are made in Jerusalem (hence the name!) and are made from beautiful soft and colourful leather. 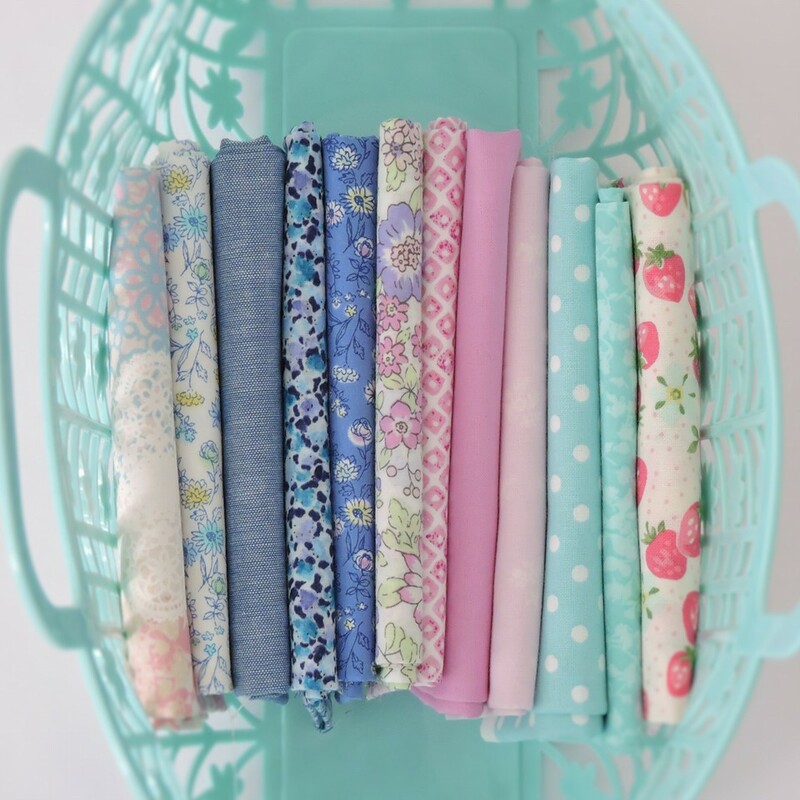 I Love Fabric (formerly Pink Chalk Fabrics) are a fantastic online fabric shop based in the US. They offer a personal service and a beautiful range of fabrics. 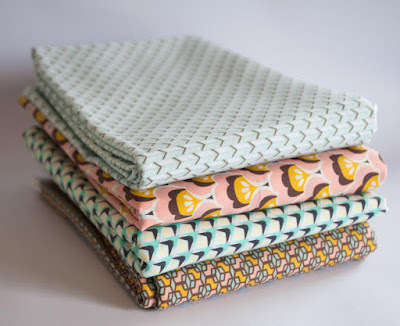 I contacted I Love Fabric and they got back to me right away and let me choose a fat quarter bundle to give away. 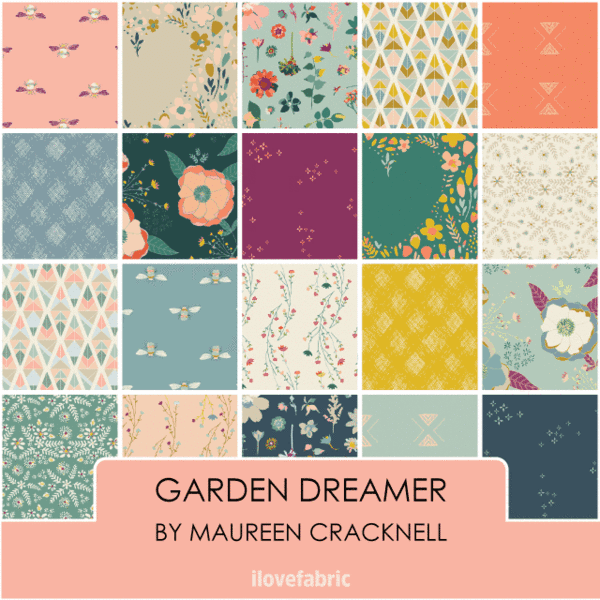 I chose the Maureen Cracknell, Garden Dreamer bundle. It features 18 prints and two 17" x 44" panels and it is just stunning. Thank you so much Tom and all the staff at I Love Fabric! Your shop is just beautiful! Saltwater Sandals are the most beautiful sandals your girl will ever wear!! They are made of regular or patent leather and come in an amazing range of colours. 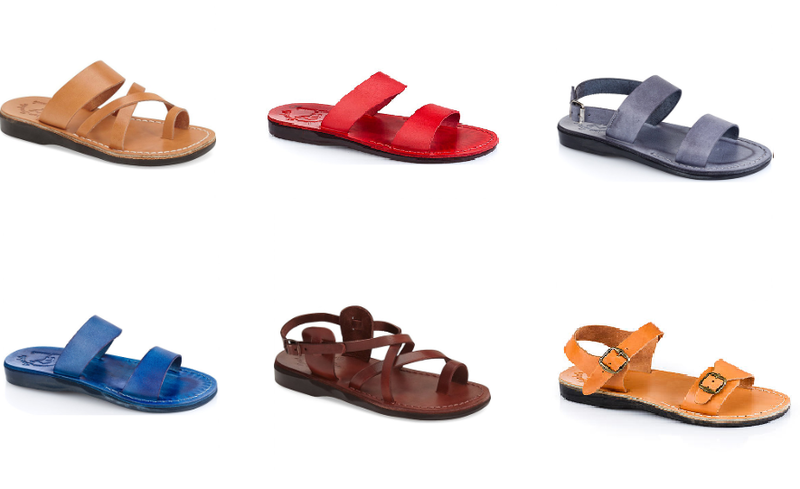 These sandals are built to last and will still look amazing when they have been worn day in day out....perfect then to hand down to little sisters. Emily is wearing third hand pink saltwater sandals and they still look fantastic. They go with anything and are super comfortable. 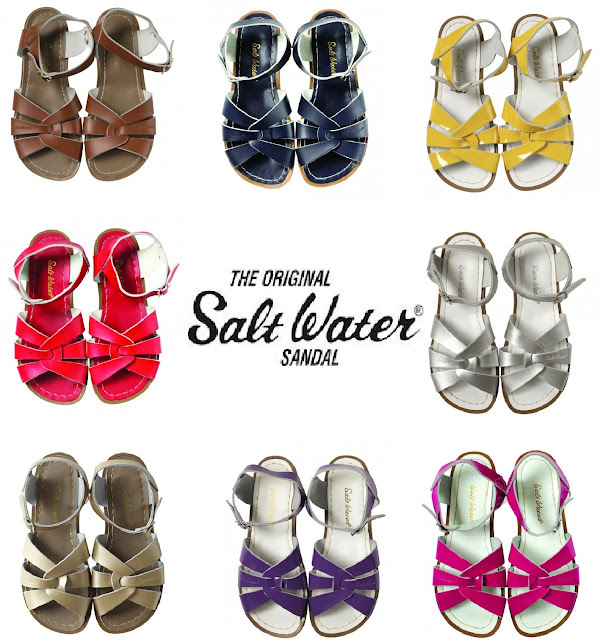 I am giving away one pair of the Original Saltwater Sandals to the first prize winner. The winner will notify me of size and colour preference and I will sort out the rest and send them straight to you (postage paid). You will love these and might want some for yourself too!! You can peruse the range of colours and sizes here. 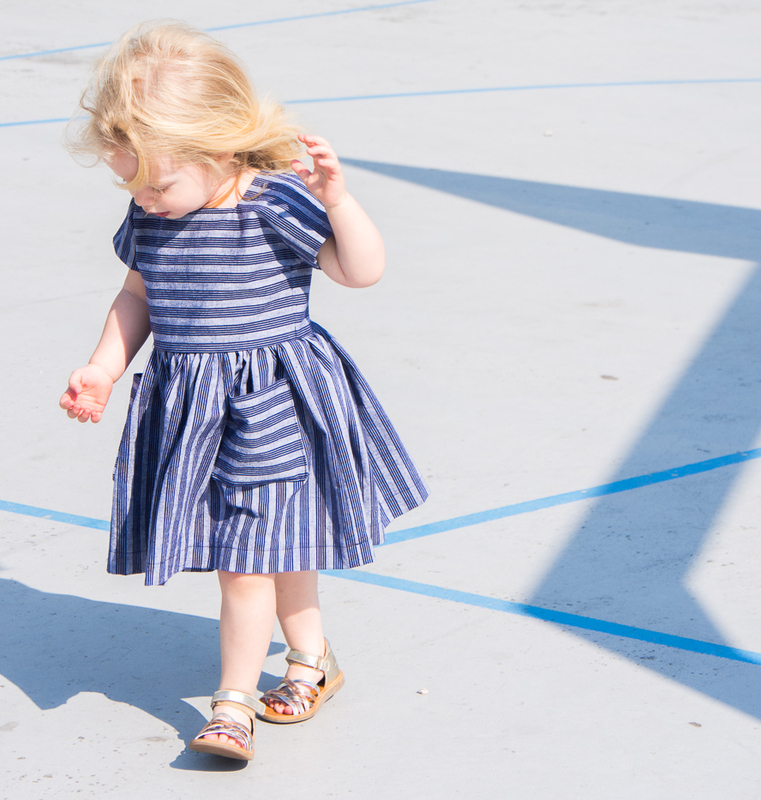 Sofie from Wensje made a beautiful blue striped Dulcie dress for her sweet little toddler. 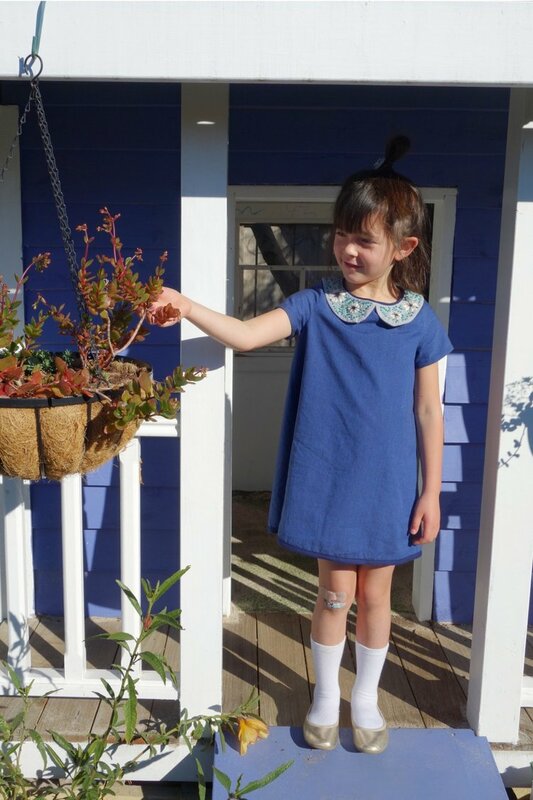 The Dulcie dress is a free sewpony pattern, however, Sofie is also a sewpony customer. She used thrifted fabric to make the dress and I loved how she played with the stripe direction. 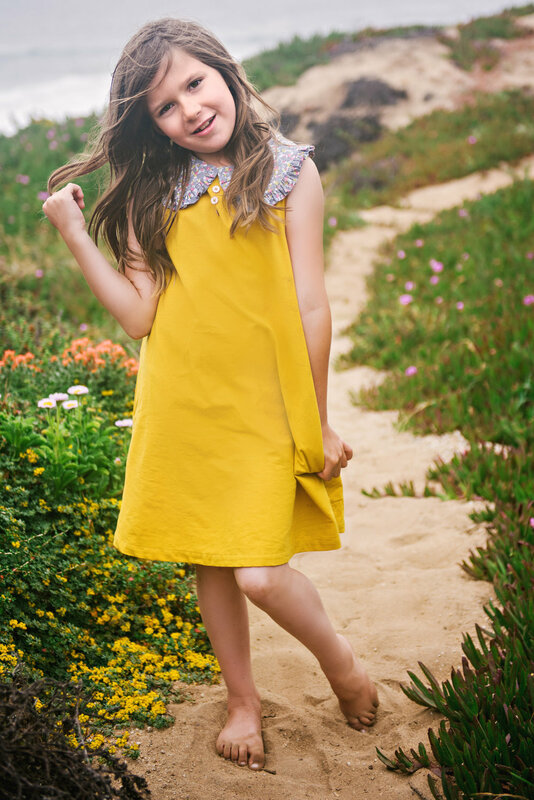 Sofie added buttons at the back instead of an invisible zip. The judges also loved Sofie's dress which is why she is the second place winner! Well done Sofie and thank you for entering! I am giving away two packs - one for second prize and one for third prize. 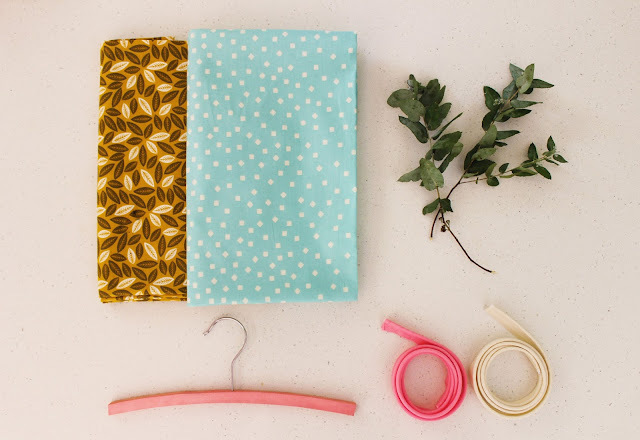 The second prize pack features 2 metres of beautiful cotton fabrics a metre each of pink and cream piping, a little pink coat hanger and two reels of quality gutterman thread. 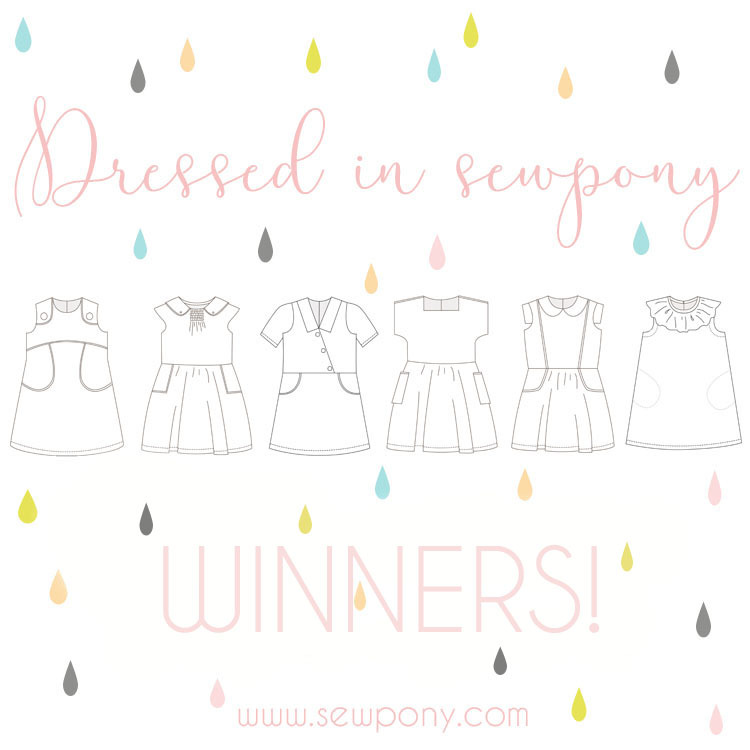 Three digital sewpony patterns will also be included in this prize. Marieke from Creative Catoo entered four tic tac toe dresses into the contest!! This one was my favourite! So light, summery and feminine. I really love this dress!! Marieke's photos were lovely and the judges also loved her dress! Well done Marieke and thank you for entering!!!! Marieke will receive two metres of vintage broderie anglaise, some sweet knee high socks, invisible zip, two reels of gutterman thread and one digital sewpony pattern. Thank you so much to everyone who participated!! It was so wonderful to see so many amazing entries and to discover some new sewers too!!!! Thank you very much to all of the lovely sponsors who helped make the contest such a success!!! To all of the prize winners... I will be in touch by email over the weekend to arrange your prize packages!!!! Congrats to the winners! It has been inspiring seeing all the gorgeous creations. Thanks Jenya and thank you for your help!! WOW WOW WOW!!! Thank you so so so so much!!!! Whaaauw! I'm honored!!! Thank you so much!! And thanks, Suz, for your sweet words! I loved seeing the other winners creations too! Just Ahhhhhh-mazing sewing ladies!! Well done to everyone who entered!! Stellar work! Thank you so much to all the sponsors too! I'm super excited!! Thank you Suz!! Your awesome!! So many beautiful dresses, congrats to all. Oh wow, I am so honoured! Suz, thank you so much for the kind words and the beautiful gifts! I enjoyed seeing all the beautiful dresses, this makes me want to follow more blogs! And of course a thank you to all the sponsors.